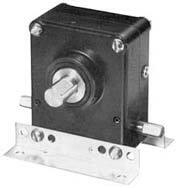 Because worm gearboxes offer high ratio speed reduction in a small package, they are a popular speed reducer solution. When making a worm gearbox selection, it is important to keep both your application and project specifications in mind. Worm gearboxes are used to take a rated motor speed and produce a low-speed, high torque output based on the reduction ratio, offering users a number of advantages. In addition to high ratio speed reduction in a small package, worm gearboxes offer users a high torque output multiplier and are able to withstand shock loading better than other designs. 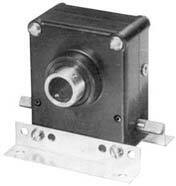 Worm gear reducers are also low cost and compact. There are a number of specifications you will need to consider when making a worm gearbox selection. First, what is the input and output torque requirements? Next, check vendor horsepower/torque charts and pick the correct worm gear reducer. If the size of the gearbox is going to be an important consideration then check the reducer dimension specifications, not all manufacturers make compact units. In fact, working with the right supplier can help you not only find the right gear reducer but also avoid some of the most common mistakes in reducer selection. We offer a free guide to help you find the right supplier to work with. Understanding the specifications of your particular application or project is essential to selecting the correct worm gearbox. Contact us for information about any of our speed reducers or to request a quote for a custom worm gearbox. This post was published on January 9, 2019 and updated on April 12, 2019.